on behalf of Rechav Lev Inc.
UPDATE! 100% of all donations are tax deductible. This applies to all donations made since this page was first posted. 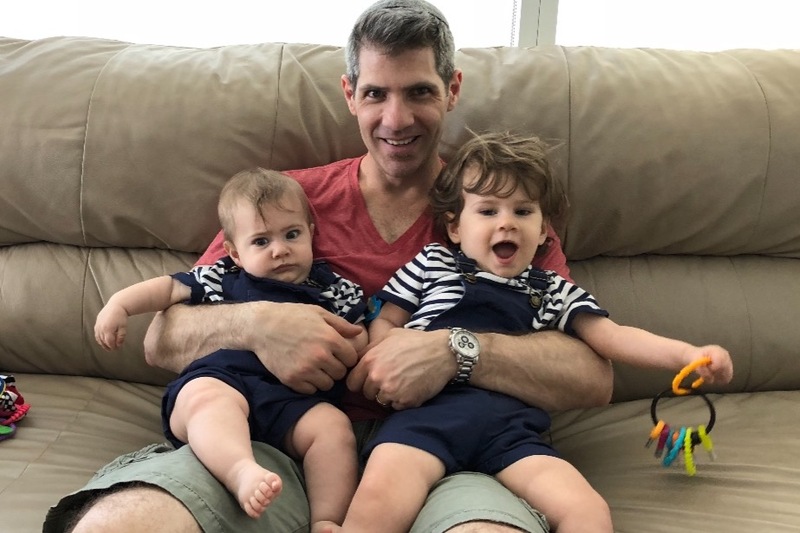 We need your help to save our boys, Ben (17 months old) and Josh (4 months old) Landsman, who were recently diagnosed with a devastating, fatal disease called Canavan Disease. Canavan Disease is a progressive brain disorder caused by a genetic mutation that affects little children. Children with Canavan Disease are unable to sit, stand, walk or talk. As degeneration progresses, many children will lose the ability to swallow, develop seizures, and become blind. 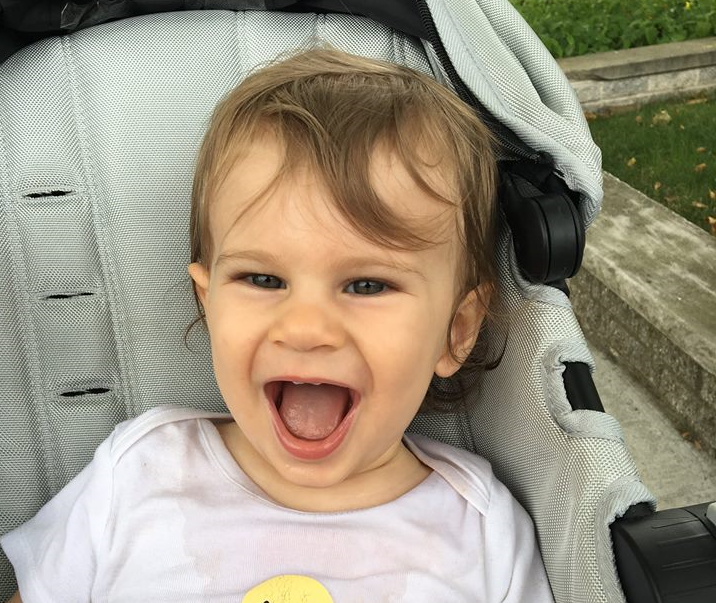 While other 17 month olds are typically toddling around, beginning to speak, and some are even climbing, Benny cannot crawl, sit up on his own, roll over, hold his head up, or speak. Josh is starting to show signs of affliction with Canavan. There is currently no cure for Canavan Disease and most afflicted children develop fatal complications by the time they’re 10 years old. Waiting for everything you love to be taken away is not a life. So we researched and reached out to scientists, doctors, researchers, specialists, and families across the country and across the world and found out that more can be done! * Experimental treatments in off-label uses for drugs can slow down the degeneration. * Therapeutic equipment can change day-to-day living. * Major breakthroughs in gene therapy are happening and can change the way the world views and treats neurological diseases. As with any progressive disease, early intervention is critical. We’ve already seen some improvements in Benny since starting medication a few weeks ago and ramping up his daily schedule of therapies that include physical, occupational, feeding, and developmental therapies. We also found well-respected researchers who have developed a gene therapy customized to treat Canavan Disease. We are desperate to fast-track funding to bring this gene therapy out of the lab and into the hands of patients like Benny and Josh. We are hopeful that Benny and Josh will be among the first to benefit and we need your help to make it happen fast. Our #1 fundraising goal is $1.2 million to help bring this treatment out of the lab and available for children like Benny and Josh who have Canavan Disease. When we launched the #SaveBennyAndJosh campaign 3 days before this update, we didn’t know if this number was achievable. We now believe it is. We’ve been amazed and shocked by how quickly our campaign is growing. We’ve also received tons of messages from you guys and want to let you know that your support, empathy, and encouragement has given us so much hope for a brighter future. Words simply fail to express how incredibly grateful we are. In addition to all your amazing support through this GoFundMe page, people have learned about our story and reached out to the researchers to see what they can do to help. We do not yet have information to share about offline contributions since we launched this campaign, but as soon as we do, we will update you. Finally, we received a bunch of notes and requests from people who want to know how they can help Benny and Josh more directly. Our #1 goal is to get the research funded. 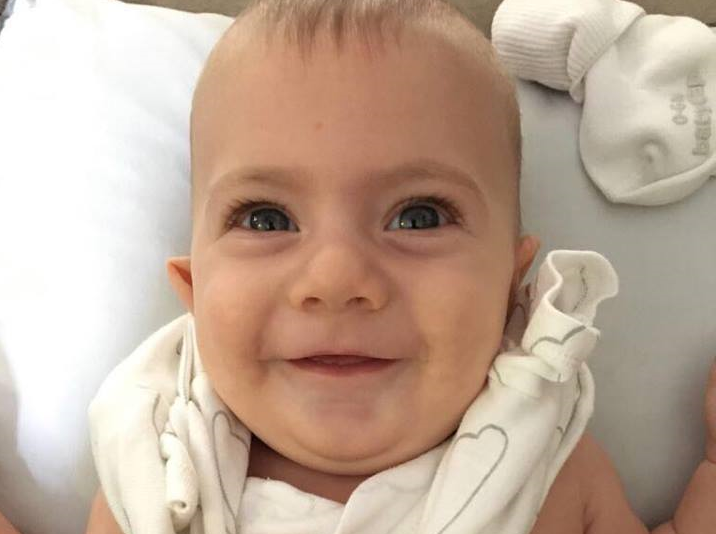 But to answer those who were asking, we have decided that if we are fortunate enough to help the researchers raise the $1.2 million they need for the patient gene therapy, donations in excess of what the researchers need will go to expenses related to Benny and Josh's care, medical needs, and special needs equipment. We’ve been so moved and humbled by the outpouring of love and support. Please continue reaching out to your friends, networks, and communities to get the word out. Any showing of support -- whether financial or otherwise -- means the world to us. Benny and Josh are eternally grateful for your support! 1) Does gene therapy for Canavan Disease help other, more common diseases? 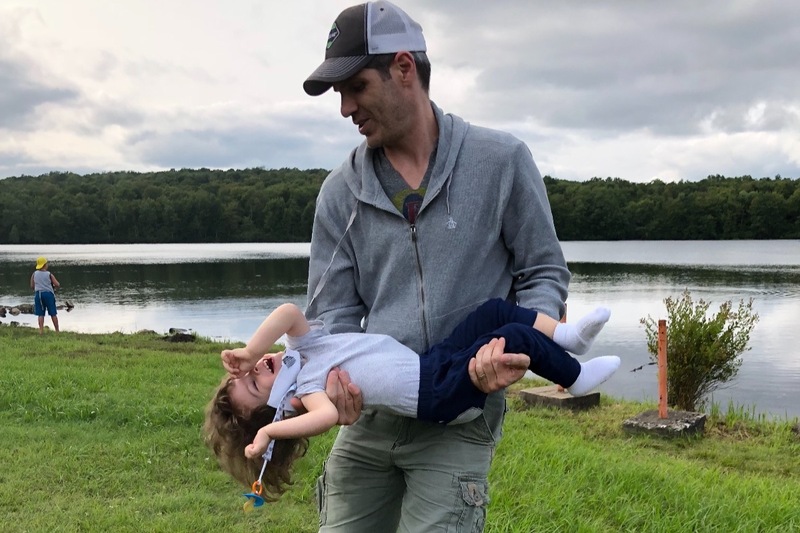 Your support for gene therapy for Canavan Disease contributes to the science and development of gene therapies for other diseases of the brain, such as Multiple Sclerosis, Alzheimer’s Disease, Parkinson’s Disease and Amyotrophic Lateral Sclerosis. 2) Does gene therapy actually work? If you think gene therapy is a far-out concept, you are wrong. GENE THERAPY IS HAPPENING NOW. On August 31, 2017, the FDA announced its approval of a gene therapy for acute lymphoblastic leukemia (ALL) -- the first gene therapy approved in the US. Progress is happening now!!! By supporting our fundraising efforts, you can help save our boys lives and be a part of the future of medicine. Yes! all donations made on this page are tax deductible. If you made a donation over $250 you will recieve a reciept via email. For any donations below $249, your credit card records are sufficient. Check with your employer benefits representative to confirm eligibility for your specific employer matching offering. 5) Your campaign story says you need $1.2 million but the video says $1.5 million. Which number is it? At the time we filmed the video, we had been in touch with researchers and discussed a general amount that it would cost approximately $1.5 million to bring the gene therapy research out of the lab and into a small group of patients' hands. Since those initial early discussions and before launching our campaign, we received an itemized budget from the researchers which provided the more specific $1.2 million amount. We are asking for the lower number because our #1 goal of this campaign is to get the money needed to bring the gene therapy into patient use. This letter was written from the heart. Anyone who is a parent would probably agree that we would take our children’s pain from them if we could. Many people who suffer losses were powerless to prevent the loss. In our case we are lucky as there IS something that we can do. So we maintain hope. But last week we learned that our request to the FDA for "expanded access" for this life-saving treatment has been delayed. Which means we lose precious (& critical) time and must now find even more funding to save our boys. I am writing to urge the FDA to reconsider their position and expedite the approval. From the bottom of my heart, please help us get our boys this treatment asap. I love my boys. Benny & Josh are sweet kids that did not ask to be born with this horrible disease. But they are making the best of it. They smile a lot. They laugh a good amount. And sure, they cry a lot and don't sleep very well at night. But I love them more than I ever thought it was possible to love someone. Speaking of love, I love my wife. Jennie is the warmest, most selfless person I've ever met. She is a giver through & through. I bet she would love to cook you a gourmet meal and have you over at our house. But I'm writing today to tell you a bit more about my life. You see, since we got the diagnosis on the boys things have been heavy. What I mean by heavy is things are intense. To become a first time father at 43 years old, only to be told at 44 that your one year old and newborn will die during their childhoods, well, that is heavy. Through Jennie's tireless efforts, we learned of a doctor. A selfless woman who has dedicated her life to finding a cure for this horrific disease. We immediately asked to meet her and she graciously agreed. She wants to help. WOW. But to fund this trial we’ll need to raise a lot of money - like $1+ Million dollars a lot. Undaunted Jennie undertook the initiative (with the help of family) to raise the necessary funds. As life has it, expenses began to escalate and $1M became $1.2, then $1.5M and now we've been informed with new testing the FDA is insisting upon, the costs to pay for that testing will increase our total expenses to close to $2.5M. Last week, Thanksgiving day was the one year anniversary of the launch of our fundraising campaign. I tried not to fall in love with my second son Josh but I failed. I leave for work most mornings to the sounds of whimpering - either Benny or Josh (sometimes both of them) getting painful therapy when all they want is to be held. Messages sent to me by friends often begin with the words "how are you holding up?". My home is littered with special need devices and has therapists coming in & out all day & on weekends. I watch other kids learn to speak while I pine for the simple word "pappa" to emerge from my boy's mouth. I have learned how to grind up food and stick it into my kids' mouths so they will not be malnourished. Rather than thinking about a college fund I ask family to help us save for a special needs trust. My wife & I regularly carry a very heavy stroller for special needs kids up & down the stairs to our home, often to the looks of "poor them" from people who see us. I have to carry my 1 & 2 year old sons around, while watching other father's hold their kids' hands. I no longer know what "normal" is, and assume the rest of my life will be spent caring for my two severely disabled boys. 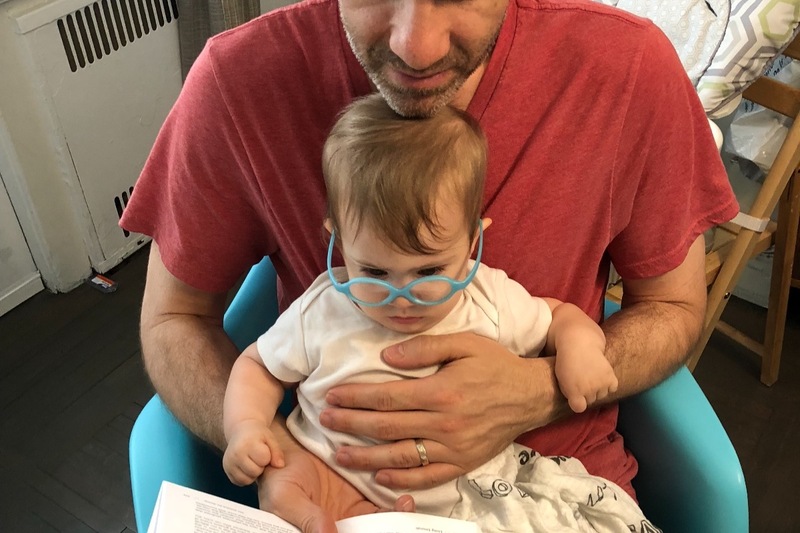 Getting back to this open letter to the folks at the FDA, last week we spoke with Dr Leone as well as the surgeon who has agreed to perform the procedure. 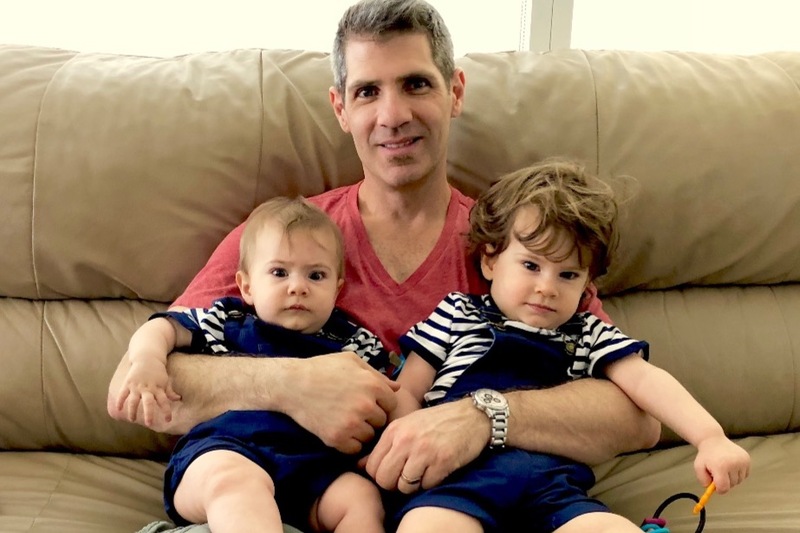 The purpose of the call was for them to fill us in on how things went with their meeting with the FDA following the second request to allow us to perform the experimental surgery on our boys. We were told that we would need to raise several hundred thousand more dollars to comply with the additional testing the FDA was demanding. We were told that we should be happy that the FDA is working with us, but that they were acting as if we were a billion dollar drug company. And yet again, we were told that this would cause a delay and the best we could hope for now for the treatment would be Spring 2019. Please understand. We do not want to have to do this surgery. We do not want to fly away from home with one boy while leaving the other at home. We do not want to watch one son at a time be sedated and then have holes drilled into his skull straight to his brain. We do not want an experimental medication to then be injected into his brain. And we do not want to wait several months to see if things are working. But if these were your boys, wouldn't you do all that? Wouldn't you do everything in your power to keep your boys alive? Wouldn't you do anything you could to improve the quality of life of your boys? Knowing that your kids were deteriorating each day, wouldn’t you push to have this invasive procedure done as soon as possible? I bet you would. Gary Landsman, father of Benny & Josh. To those of you not working at the FDA, please feel free to reach out to us if you feel you can help. And PLEASE help us reach our new increased financial needs to get this procedure done for Benny & Josh. We thank you in advance with all our hearts. I know. I already wrote to you today. But as I’m busy with this and that in the kitchen, getting ready for the Thanksgiving meal, I can’t stop thinking about what this day really means. A day to be thankful. Gratitude has been my savior since the diagnosis. There have been days that I didn’t want to wake up. Days I couldn’t face my reality. Days I wished I could disappear along with everything that pains me. I’ve wished and day dreamed about sacrificing my life for theirs. I wish it were that easy. There are good days too. When I don’t think about how their lives are threatened by this slow degenerative disease. When I’m in the moment. Just being. But when I’m having a hard day, when I don’t want to be here anymore, when it feels like too much weight to bear, I pragmatically pull out my gratitude list to remind myself why it’s worth going on. Most of its in my head. But sometimes I need to read it. -being able to have and bear children. -For having Dr. Paola Leone in our lives, who continues to work tirelessly on our behalf. -For my supportive family, that’s there for us at all hours and all days, in so many ways. -friends who have become family, and given love, time and brought sanity to our lives. -friends who stand by me in all my different mental states, and craziness. -For our communities all over Brooklyn, New York, New Jersey, Israel, California... and all over the world that have come together to help us. -Having a job I love to do, and students who are flexible with my ever changing schedule so I can continue to do what I love. -For having found hope, when we were told there was none. Today it’s for the thousands of strangers who have opened their hearts to help us save our boys. One year ago, we posted a video https://m.youtube.com/watch?v=oE5sDe-EYyw asking you for help to save Benny and Josh’s lives. We had been told that our children wouldn’t live past childhood. That we’d be caring for them as they slowly degenerated until the end of their short lives. We had been told by the experts that there was nothing that could be done. studies showing the efficacy of cutting edge gene therapy. But the pharmaceuticals weren’t interested in investing in producing a treatment for a rare disease. So we have to make it ourselves. We needed millions of dollars to save our children. On thanksgiving morning 2017 we begged for your help. It seemed like such a long shot. There are so many places to give to. So many charities, so many causes. And then a miracle happened. Over thanksgiving weekend almost a quarter of a million dollars was raised. We had never dreamed that it would be possible to get the financial help we needed to fund a treatment, but you stood behind us, you showed us we can make it real. We had hoped that Their treatment would be ready by now, and it is so close. We’re working closely with the FDA, conducting safety and efficacy testing on large animals and primates, to ensure it’s up to standards. This has taken a lot more time and money than we anticipated, but we continue to move forward and hope that everything will be ready for patient use this spring. Although Canavans disease is rare, in the past year alone there have been so many other families we’ve met who have lost children, or have newly diagnosed children that also need treatment. We need to get this out there to save Benny, Josh and all the other little ones that deserve a chance. We wish you and your family a happy thanksgiving. Please share our story and help us continue to fund a treatment for Canavans disease. Today I turn 45. But August 14th has a new significance in my life as it was August 14th, 2017 that Jennie & I received the call that confirmed Benny's Canavans diagnosis and also confirmed that Josh had it as well (despite the 1 in 4 chance of either boy getting it). So today marks one year since we found out that our boys have a horrific genetic disease. To say this has been a difficult year is obviously an understatement. The excruciating pain I've felt deep in my gut at times this past year is indescribable. The number of times I've cried this past year exceeds that of the previous 25+ years. How could this happen? Why did this happen? What did I do to deserve this? How could this happen to two innocent babies? What did they ever do to deserve this? Compounding the pain are the challenges I've faced at work. I launched Taste Wine Co four months after Jennie & I were married in 2015. I felt so blessed on so many levels. To have come up with what I believed to be such a great idea. To work in an industry and with a product (wine) I love. To be able to come up with the resources to get the business started. This business would support my family and afford us a comfortable lifestyle. And then it happened...the business struggled. So of course I put in more hours, keeping me away from my precious boys and incredibly patient & supportive wife. I started bringing the stress of the unsuccessful business home with me. I hated myself for it. My responsibility as a man is to support my family. And I'm failing at that too. So much pain. So much disappointment. So many failings. How could this be? Fast forward a bit, and things are not quite that grim. Actually, they are pretty OK. Most days Jennie & I are happy. Sure we have stress, yes things are still very difficult, but we have gained perspective and believe we have so much to be happy & thankful for. Nearly 8,000 people have generously responded to our call for help & we've raised an incredible sum of money for a cure. The cure is in sight. People are praying for our boys. Beyond the financial generosity, people have stepped forward to help in so many ways. And maybe more important than anything, Jennie, my incredible Jennie has helped me stay positive. She has taught me how to live in the moment. How to enjoy the smiles of our boys. How to cherish the precious moments. Their giggles. Their affection. Even their endless drool and stinky poopy diapers. I wanted to write an update from the heart. So many of you have asked how we are doing. We're doing OK. We have our moments, but we are honestly doing pretty well all things considered. I am scared of our future, but I am (as much as possible) enjoying our present. And our presents...these two delicious boys, Benny & Josh. In terms of the cure and an update on where things stand, unfortunately we were informed two weeks ago of another delay. So at this point it appears our best case scenario for the treatment will occur in December, not in October as we had previously been told. But we did not let the previous delays get us down and we won't let this delay get us down. G-d is looking out for us & loves us. The treatment will happen and we'll go from there. Hopefully we'll have a storybook ending. In the meantime, Jennie & I have decided that we want to do a better job of keeping people updated on how things are going - even the little things. So we'll be launching a blog, possibly at SaveBennyAndJosh.com (or with #SaveBennyAndJosh somehow in the URL). We hope the blog will provide us with a forum to write quick/short updates, post pictures & keep all of you who care about us & our boys updated more frequently. And we hope that a blog will help us get in touch with our feelings, and possibly propel us to whatever it is that we have to do next. 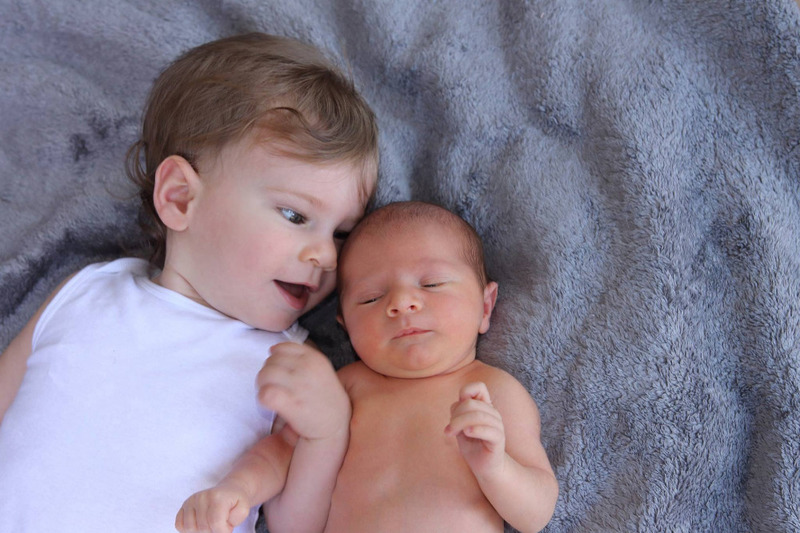 Beyond curing our boys, Jennie & I know we now have a greater responsibility. We aren't yet sure exactly what form that will take, but we need to pay it forward. And we will. From the bottom of my healing heart, I thank you all for your support and look forward to sharing happy moments and positive updates with you soon.